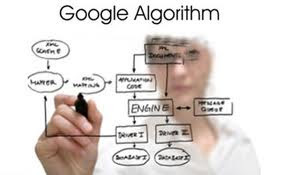 Perhaps you have not noticed, but Google seems to have quietly gone and done some changes in the algorithms it indexes the web pages with. For starters before 8.5.2013 I had 5000+ pages of vvpvijay.blogspot.in indexed by Google and on 8.5.2013, when I checked the search results it just had 434 pages indexed. That is not all, Images uploaded by me and my co-author Vijay Deepak Chhibber, under the heading Photo of the Day have all but disappeared. The new indexing pattern shows just 3 to 4 images if you enter Vijay Deepak Chhibber in the images window of Google Search. I researched the net for SEO and other people who follow the Google's indexing patterns but as of now nobody seems to have a clue. Though today, my indexed pages are back to 4000+ which is a normal range, the images are still not visible in the search. This I think is a reason of the next Page Rank update Google is undertaking albeit very silently. If you remember, Google last updated its Page Rankings on 11.2.2013. You can read all about the next Page Rankings due in June, 2013, on my friends top SEO site, supportivehands.net. Have you also noticed the change in the indexing patterns? If so kindly share your experience. Together we can research into what is really happening in the indexing world. There is definitely a change going on. I am finding it harder and harder to rank my videos on page one.